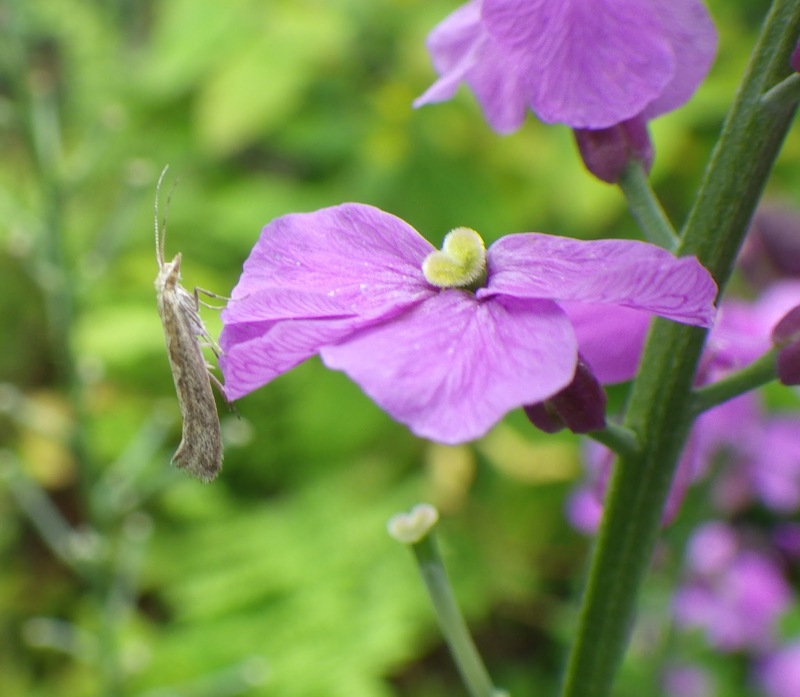 I`ve just been in the garden, and was casually pulling up some weeds when I flushed a small moth - it was another diamond-back moth. I use the word `another`, as I still have last night`s individual cooling in the fridge alongside some other micros and, furthermore, I then flushed three more in the garden. All of them were rather pallid individuals. Above: you can just about make out the diamond markings on the back.